On Wednesday, the world’s Hindus celebrated Chhath, a sacred festival praising the Sun God and giving thanks for sustained life on Earth. 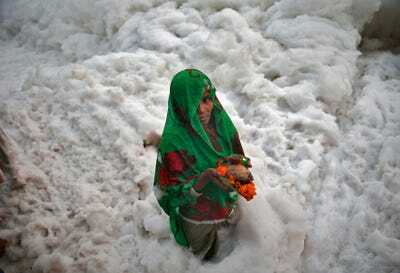 The event is especially massive in India, where 80.5% of the population believes in Hinduism. Part of the celebration involves festival-goers visiting India’s rivers, which are held as sacred to Hindus, to bathe and procure holy water. 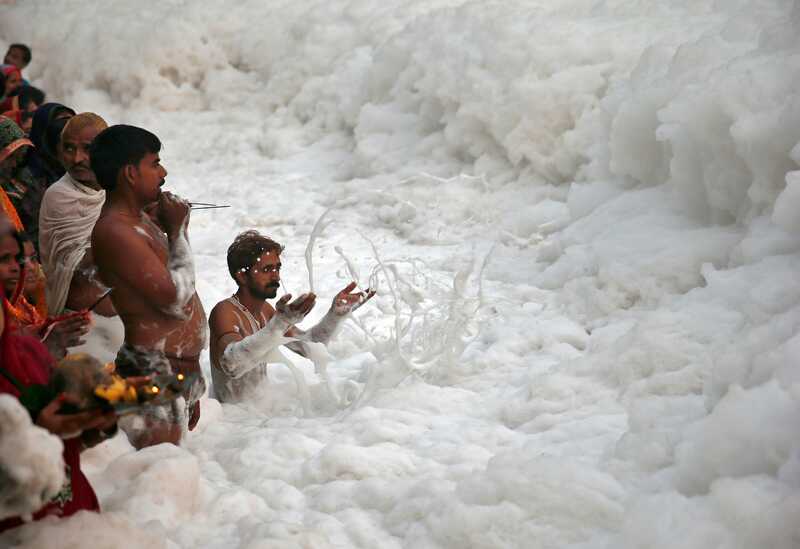 While this has been done for thousands of years, in recent times, visiting India’s rivers, such as the large Yamuna (seen above), have become perilous. With India’s population growing at a rapid pace, along with other factors like with a lack of sewage treatment and education about waste, the country has some of the most polluted rivers and bodies of water in the world. Bathing and drinking the water is a serious risk. 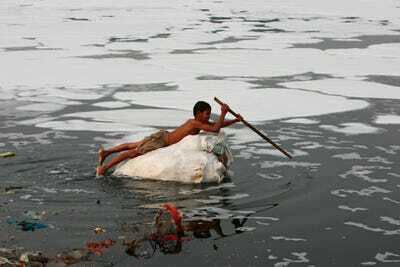 The Yamuna River is considered one of the most polluted rivers in the world, especially near the population-dense city of New Delhi, which generates more than 500 million gallons of sewage per day. It is this sewage and other industrial contaminates that create the foam on the river's surface. The river has been deemed 'dead,' meaning there is no longer enough oxygen in its waters to sustain fish. 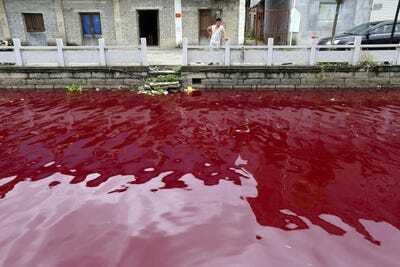 Only recently have efforts begun to educate the populace about water pollution and sewage treatment. Enforcement of environmental laws have been weak as well. While efforts have been made to clean up the rivers, little headway has been made in this herculean task. Elsewhere in India, water quality is not much better. 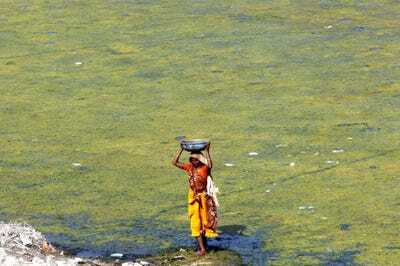 The Mahananda River, a long-time dumping area for sewage via open drains, is so polluted that a brand new form of antibiotic-resistant bacterium has been discovered in its waters, named 'Siliguri' for a north Bengal city the river passes through. 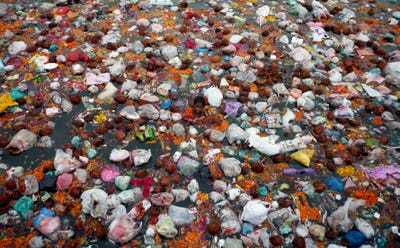 The Ganges, one of India's largest rivers and one of the most important rivers in the world, is no stranger to pollution either. 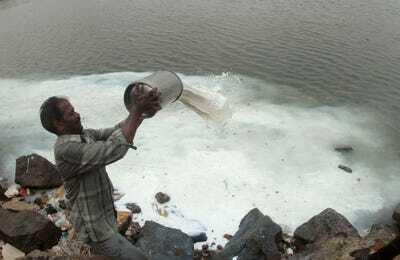 Forty per cent of India gets its water from the Ganges, yet due to the rapid population and industrial growth on its banks, it's become one of the most polluted bodies of water on Earth. 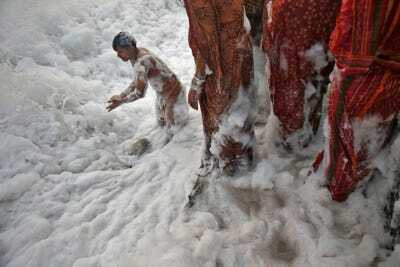 It is especially contaminated after the Kumbh Mela, a Hindu religious festival which includes a sacred pilgrimage to the river. Tests showed that biochemical oxygen demand (a measure of organic pollution) was double the acceptable level set by scientists after the event. 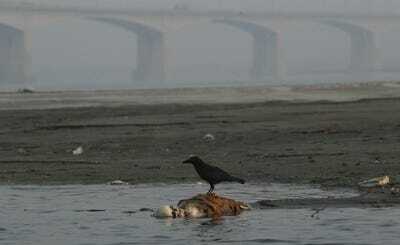 Human waste, animal corpses, cremation ash, and trash litter the river. 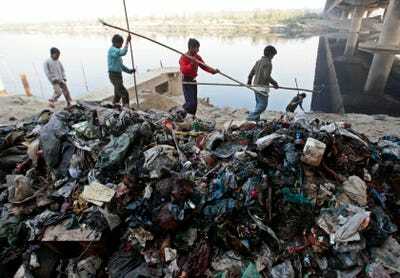 Only a third of the 660 million gallons of sewage produced by cities along the river is treated, reports the Telegraph. India's Sabarmati River was named the third most polluted river in the world in 2010 by the Central Pollution Control Board. Faecal coliform, which generally comes from human and animal waste, can be found in high volumes in the river. Recent studies showed that biochemical oxygen demand levels in the Sabarmati registered 13 times higher than desirable levels. 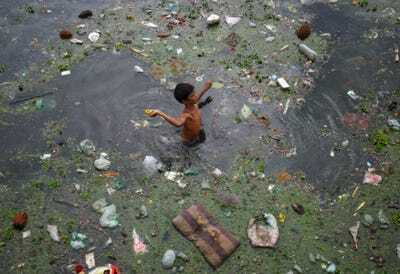 But it's the the 40-mile-long Cooum River (also known as the Koovam or Kuvam) that has the dubious honour of being named India's most polluted river. Due to a sandbar near the mouth of the river, the water can become blocked and begins to stagnate. Combined with sewage, heavy metals, and pesticides, the standing water becomes a fetid cesspool. Want to know where else water pollution is really bad?